Verify.as is a distributed reputation protocol built on the Ethereum blockchain. 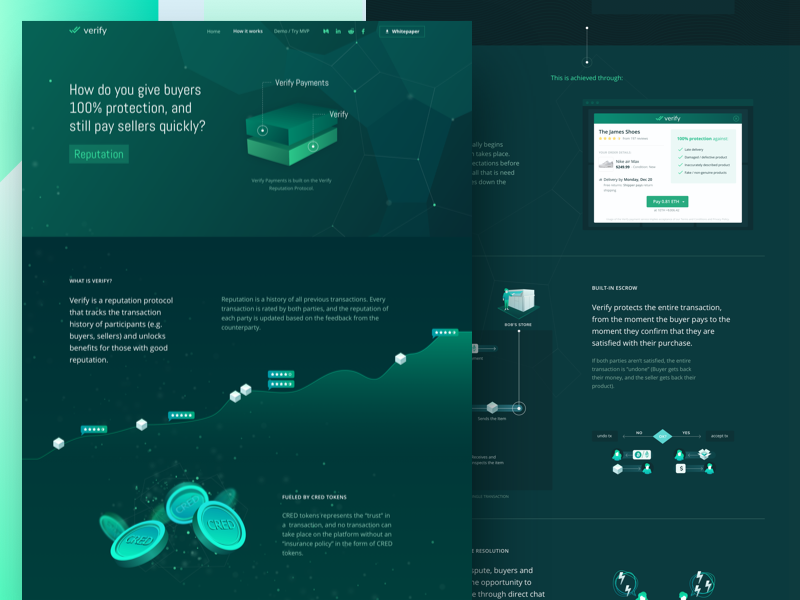 We’ve been lucky enough to work on the whole web design, Front-end development, and the Smart Contract as well. Our Client reached his goal in ICO in just 90 minutes! You will see more results of our cooperation really soon! Let us know your thoughts. Don’t forget to check the full preview to see more details.